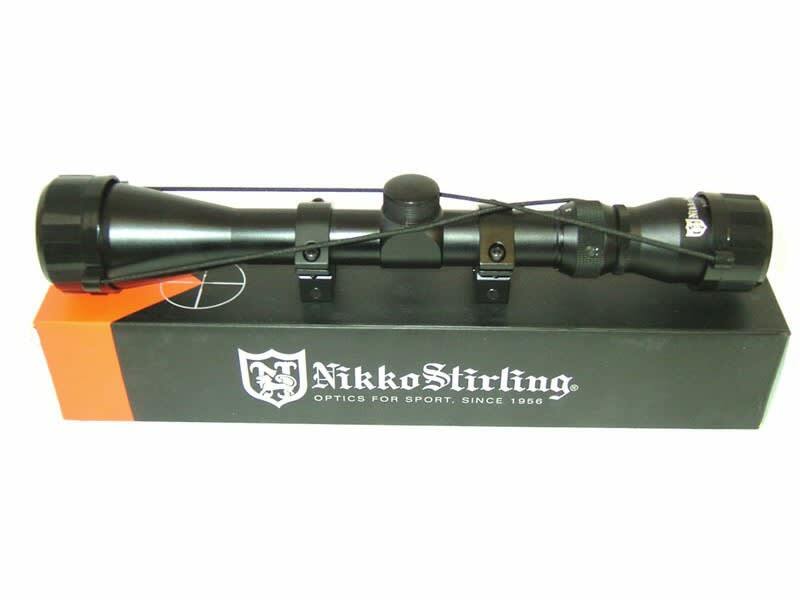 Nikko Stirling 3x9x40 Variable Power Mount Master Centerfire Rifle Scope W / 1" Rings. Perfect choice for serious shooters or hunters who want a wealth of features and performance but don't want to spend a fortune. 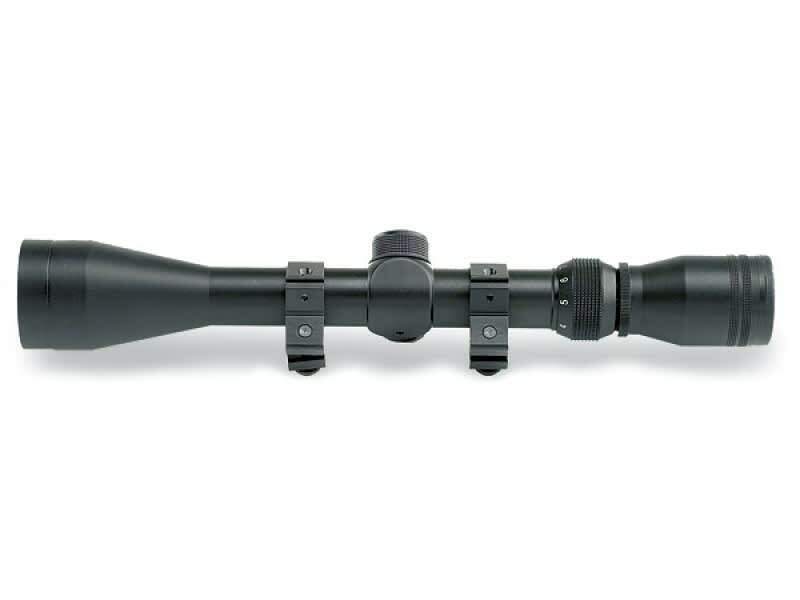 This scope combines high quality optics and rugged construction with accuracy and ease of use. Feature fully-coated optics for bright clear views, rugged 1" monotube construction and are waterproof, fogproof and shockproof. Suitable for all types of general purpose hunting. Nikko Stirling has been in the sports optics business since 1956. This is their entry level 3x9x40 scope . They are extremely clear and very nice. We picked up a one time special buy at a trade show on these scopes and are passing the savings on to you. All of these scopes are Factory New in the Box. They include 1" Weaver Based Rings, Instruction Manual and a Hex Head Wrench. This item along with our UTG Mount would make a great addition to our M77 Rifle, or any of our AK style rifles with side rails. These are New but were a one time buy and as such we are selling these as a close out with no returns accepted. 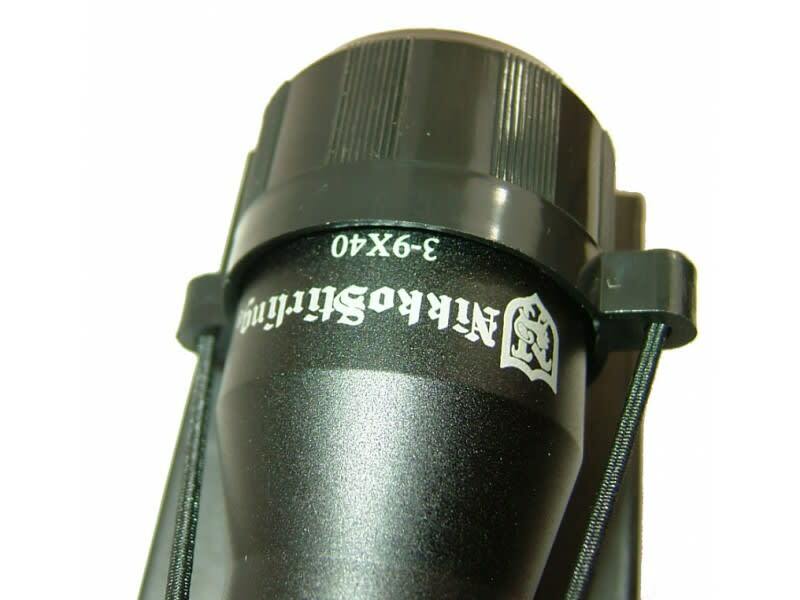 3x9x40 Variable Power Mount Master Centerfire Rifle Scope complete with 1" rings. Black Matte, Standard Crosshairs, 1" Tube, Waterproof, Fogproof and Shockproof. Fully Coated optics, Parallax-Free at 100 yards, 1/4 MOA Fingertip adjustments, Amber Tinted Lens Caps Included.